This week saw a very significant development in the nuclear industry and the potential consequences of safety culture issues on a specific plant, a large nuclear enterprise and the industry. As has been widely reported (see link below) the Vermont Senate voted against the extension of the Vermont Yankee nuclear plant’s operating license. In part it appears this action stemmed from the recent leakages of tritium at the plant site but perhaps more significantly, from how the matter was handled by the plant owner, Entergy. In response to allegations that Entergy may have supplied contradictory or misleading information, Entergy engaged the law firm of Morgan Lewis and Bockius LLP to undertake an independent review of the matter. Entergy subsequently has taken administrative actions on 11 employees. 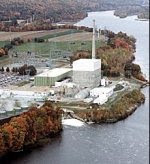 The fallout of these events has not only put into question the future of the Vermont Yankee plant, triggered the interest of the NRC and a requirement that Entergy officials testify under oath, it may also have consequences for Entergy’s plans to spin-off six of its nuclear plants into an independent subsidiary. This restructuring has been a major part of Entergy’s plans for its nuclear business and Entergy has announced that it will be evaluating its options at an upcoming meeting. In part the author relies on the Morgan Lewis law firm’s finding that Entergy employees did not intentionally mislead Vermont regulators. However, he apparently ignores the Morgan Lewis conclusion that Entergy personnel provided responses that were, ultimately, “incomplete and misleading”. Given the findings of the independent investigator it is hard to see what choice Entergy had, and absent additional facts, it would appear to us that the employee actions were necessary and appropriate. Adams goes on to speculate that there may even be a detrimental effect on the safety culture at the plant - due to the way Entergy is treating its employees. In reality it appears to us that any detrimental impact on safety culture would have been more likely if Entergy had not taken appropriate actions. Still, the question of how safety culture played into the failure of Entergy staff to provide unambiguous information in the first place, and how safety culture will be impacted by subsequent events is a subject that merits more detailed consideration. We will provide our thoughts in future posts. Link to 2-25-10 Wall Street Journal news item reporting Vermont's action. Link to Rod Adams 2-26-10 blog post. Link to 2-24-10 Entergy Press Release on Investigation Report. Can Blogging Be Good for Safety Culture? Vermont Yankee (part 2) - What Would Reason Say?